In the final installment of the Beating Knee Pain series we are going to take everything we have gone over and put it all together. We will go back to Part II and apply what we learned about tissue quality and mobility, Part III when we spoke about strength training exercises that will help, and finally Part IV when we spoke about single leg training and adding it to our overall strength training program. 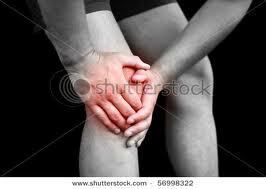 Hopefully I can put it all together and make it easy for you to finally rid yourself of any type of knee pain. The second half of tissue work revolves around traditional static stretching. I want you to focus on the same areas as you would with the foam rolling. Spend a solid 30 seconds of static stretching, especially areas like the glutes which tend to be very, very tight in most people. The tissue quality work should take anywhere between 5-10 minutes, so there is no excuse for you to not do it. If any of these areas are more sore then other areas then focus on that sore area a little longer – listen to your body, if it is sore it needs a little more attention. Once you have reached this point it is time to actually lift some weights. This is where I feel you can have a little more say in what exercises that you actually perform. I would simply recommend someone pick a bilateral knee dominant movement, a bilateral hip dominant movement, and then both a single leg knee dominant movement as well as a single leg hip dominant movement. In Part III we covered bilateral movements and in Part IV we covered single leg movements. There you have it, a simple approach to overcoming knee pain. I hope in this five part series that you have a better understanding of why knee pain can arise and have a relatively good idea on how to approach overcoming the issue. I have seen many athletes improve their knee quality through a program very similar to this, whether they are coming off of serious knee injuries like an ACL tear or experiencing typical knee pain without any serious injury – hopefully the same can hold true for you!